Donnington is one of the new ambulance maintenance hubs for Shropshire. 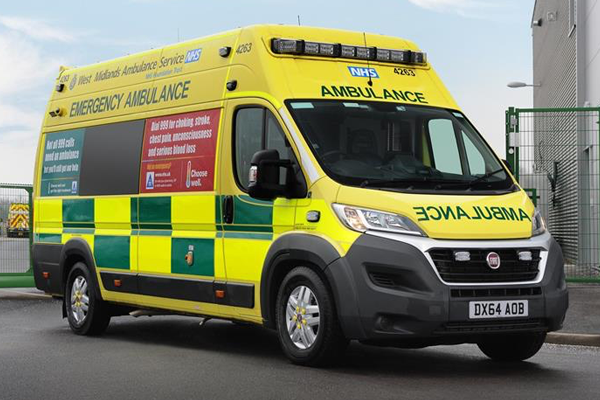 Instead of restocking at the ambulance station at the start of their shift, crews collect a cleaned, checked and stocked vehicle from the hub so that they are immediately ready to respond to emergency calls. As part of the reorganisation WMAS wanted to improve security at the Donnington depot. Although not in a high risk area, the site was vulnerable to unauthorised incursion to the loading area. Techparc proposed a cantilever sliding gate across the access route to the yard. This provided a high level of pedestrian and vehicle security for the loading area whilst still allowing vehicles to pull off the public highway onto the front courtyard area. One of our main safety guidelines is to always look for opportunities to separate vehicle and pedestrian traffic. To this end, Techparc provided a separate pedestrian gate alongside the sliding gate operating on the same access controls. To doubly ensure pedestrian safety the vehicle gate was fitted with electronic safety edges and photocell systems so that any obstruction was instantly detected by the gate causing it to stop.